Ellie Hogan and her husband John were childhood sweethearts, destined to live together on his farm in Ireland. But when John, a soldier for the Irish Republican Army, becomes too injured to work, Ellie must take drastic measures in order for them to survive. Like many other young Irish women in the 1920s, she immigrates to New York City, to work as a maid for a wealthy socialite. In New York Ellie is introduced to a sophisticated lifestyle, including a charming suitor who can give her all she ever wanted. While her heart remains with her husband, Ellie is tempted by this glittering new world of fine clothes and parties, money and mansions. Soon she is faced with a monumental decision: to stay in a country full of hope and promise, or to return home to a life of poverty…and love. Amy Stolls’s young adult novel Palms to the Ground was published in 2005 to critical acclaim and was a Parents’ Choice Gold Award winner. A former environmental journalist who covered the Exxon Valdez oil spill in Alaska, she is currently a literature program officer for the National Endowment for the Arts. She lives in Washington, DC, with her husband and son. Ellie and John find a connection from the moment they meet and become childhood sweethearts. Do you think it is possible to sustain that relationship into adulthood? Are they truly soul mates? What is Ellie’s relationship like with her parents? Is it understandable why she prefers spending time with John’s parents, Maidy and Paud? What do they provide that Ellie’s own parents can’t? How is early married life difficult for Ellie and John? When Ellie decides to go to America, John says that she’s running away. Do you think there is some truth to this statement? Why or why not? Isobel Adams treats Ellie not only as a maid, but sometimes as a confidant. Do you think this kind of behavior is appropriate? Is Isobel a good mistress and employer? Seeing how happy her friend Sheila is with her fiancé, Ellie makes the observation that anything is possible in America. How is this true compared to what life was like in Ireland? Do you think this is true today? Why does Ellie find Charles Irvington attractive? What can he offer her? If you were Ellie, who would you have chosen to be with, Charles or John, and why? Why doesn’t John want to move to America? Are you sympathetic with his views, or do you think he should have seriously considered Ellie’s plan for him to join her in New York? Do you think Ellie made the right decision in going back to Ireland? Why or why not? What would her life have been like if she had stayed in America? What difficulties does Ellie encounter when she returns home? How does she use what she’s learned in America to improve her situation there? 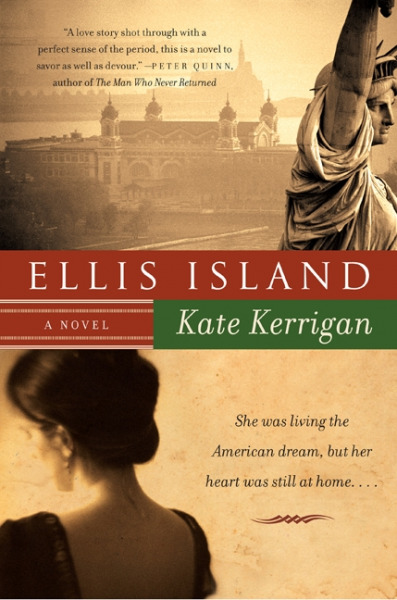 Ellie’s story, which takes place in the 1920s, is a classic immigrant story. What are the similarities and differences with the immigrant stories of today? How about the immigrant stories in your own family?